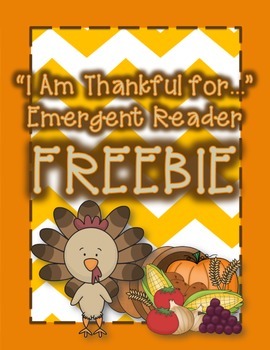 Enjoy this emergent reader FREEBIE for Thanksgiving season approaching! Included are two graphic organizers for your little learners and also a small booklet for them to complete. This will get them thinking about everything they have to be thankful for!